Many first-time parents are surprised by just how much having a baby changes their relationship. There’s a huge misconception that having a baby will suddenly make everything blissful and complete. While it’s true a baby can complete your little family unit, particularly if you’ve been trying for a long time to conceive, they can also place a massive strain on a relationship. Even the strongest of couples can find themselves rocked by the new arrival. Of course, having a baby can make you stronger as a couple in the long-term, but it does help to be aware of the potential problems you’re likely to go through first! Here we’ll look at the main changes you can expect and the consequences they can have in your relationship. When Did They Become So Annoying? One of the first things you’re going to notice is all of the little things your other half does wrong that you never noticed before. Or maybe you did notice them, but pre-baby you thought they were just mild annoyances and potentially even a little cute. Now however, you’re thinking of all of the ways you could get rid of them. Seriously, eviction becomes a reasonable thought that can regularly pop into your head. Of course you would never do it, but the thought’s there! There’s a few reasons why this happens. Sleep deprivation is by far the biggest contributor. Lack of sleep can cause you to become a lot more agitated and emotional than usual. Before having a baby, you get told about these sleepless nights. Your friends and family probably joked about it with you. However, the reality is complete and utter agony. Sleep deprivation can make you feel like you’re losing your sanity. So, it’s only natural you’re going to take things out on your partner. It could be you’re woken for what feels like the millionth night in a row to baby crying. You look to the side and find your partner blissfully fast asleep. Nothing at that moment in time is more annoying. So, you get up, being sure to make as much noise as possible in the hope of making them realize how unhappy you are. Or maybe you’ve spent the day frantically trying to get everything done, only to find there just aren’t enough hours in the day. After tripping over toys, being faced with a mountain of dirty dishes and an endless number of daily chores, you suddenly start to notice just how untidy and useless your other half is. These little annoyances can turn into huge arguments. You start to wonder why you didn’t see all of these flaws before. Solution – So what can you do about it? Well, recognizing that you’re feeling this way because of sleep deprivation and all of the trials and tribulations that come from new parenthood is vital. Sitting down and actually talking with your partner can also really help. Try to avoid yelling, regardless of how frustrated you might be. A calm chat expressing how you feel and letting them know what they can do to help can be really productive. Also consider the changes they are going through. They may feel more pressure to provide for the family now for example. It’s easy to forget that both of you are going through these huge changes that parenthood brings. Before you have a baby, both yours and your partner’s attention is largely spent on each other. It’s all about the two of you and you focus on making each other happy. However, when baby comes along this can change dramatically. Suddenly, all of your time, energy and attention is spent on this adorable, demanding little human. This can lead to one partner feeling left out. It can also cause mom to feel like she’s now solely a caregiver, rather than a woman. These changes in the relationship dynamic can be difficult to come to terms with, thus leading to a lot of arguments. 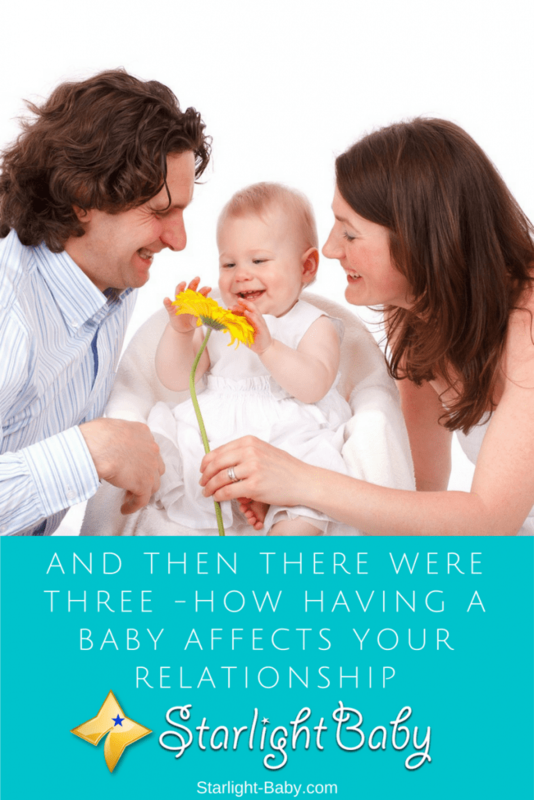 If these issues aren’t addressed, it can lead to the two of you becoming distant and growing apart, as well as a buildup of resentment either towards each other, or towards your baby. Solution – Acknowledge that yes things have changed, but look at what you can do to ease the transition. It’s really easy to neglect your relationship in the first few months. The truth is it’s going to take a lot of time and effort to maintain a strong, healthy relationship. Date nights are an excellent way to rekindle the romance. Get a sitter and enjoy some couple time once a week if you can. One of the biggest changes that can be the hardest for couples to deal with is a lack of intimacy. The last thing you feel like doing after a long day caring for baby is getting intimate with your partner. Women tend to feel a lot less desirable after giving birth too and this also really contributes to intimacy issues. There’s also the fact that you’re advised to avoid intimacy for around four to six weeks after giving birth. Some women prefer to wait even longer if they had a traumatic birthing experience. So, all kinds of factors contribute to a lack of intimacy and this in turn can cause serious problems in the relationship. Solution – Understand that it’s completely normal to experience problems with intimacy after giving birth. It’s also helpful to talk about it with your partner to ensure they don’t feel rejected. Try being more intimate in different ways such as spending more time cuddling and kissing. If the issues are caused by changes in emotional connection, work on communicating more and spending more time together in general. Overall, having a baby brings many changes to your relationship. Being aware of how it can affect you and your partner, gives you plenty of opportunity to find solutions before baby is born. If you’re already experiencing any of the issues above, following the advice given can be really helpful. Going Back To Work After Having A Baby – When’s The Right Time? True, the birth of a baby makes the couple happier despite the many sleepless nights. Breastfeeding, constant diaper changes and the many demands of motherhood, make the new mother very tiring thus, less time for intimacy between the partner. I think this is really also about complementing and understanding each other. Couples need to have some time out and date once in a while to keep the love burning. All the more they need to strengthen their relationship now that the baby is out, to feel him/her feel loved always.